When choosing shaving soaps or creams for a luxurious wet shave, many men prefer the scent of Sandalwood shaving products to almost any other scent. The scent of Sandalwood is slightly woodsy and masculine which many men appreciate. So here, we have selected some of the best sandalwood shaving creams for you. Taylor of Old Bond Street is a British shaving company that has been making top quality shaving products for men since 1854, and today is considered by many to be the royalty of shaving companies. 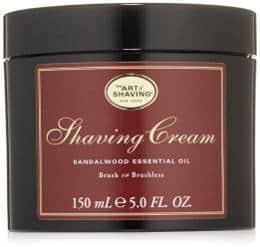 Their 5.3 ounce bowl of Sandalwood shaving cream is one of their most popular products. 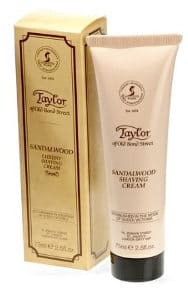 You can choose to purchase the Taylor of Old Bond Street Sandalwood Shaving Cream singly or as part of a 2 pack and It includes a bowl that can be used in place of a mug. However, you may not get the same depth as you have in a shaving bowl. 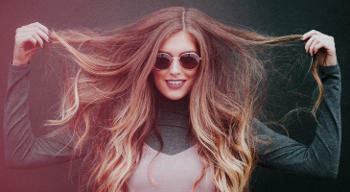 It is also good to know that this product is paraben free. This shaving cream gets exceptionally good reviews from users who say that it creates a nice rich fragrant lather which reminds them of an old fashioned barber shop. 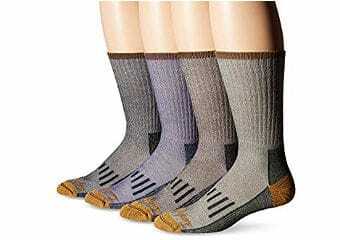 They get a close shave with very little irritation and their skin is left feeling soft and supple. The bowl lasts for a long time as well. 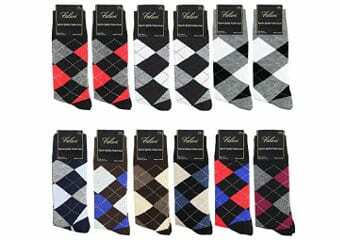 Some younger users find the scent too old fashioned for them in the first place, but, for some of them, this seems to change after a little time that they are using the product, so they begin to like it. 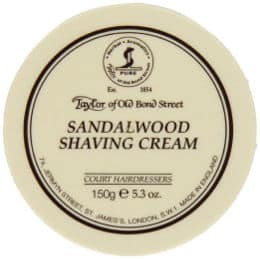 The Taylor of Old Bond Street sandalwood shave cream comes in a handy 2.5 ounce tube which makes it great for traveling as it takes up very little room in your suitcase. This tube gets very good reviews, but not as many as the above product in a jar. People state that even though it lathers well, it can be difficult to get out of the tube. Once the cream comes out of the tube, it gives users a comfortable shave and does seem to protect their skin while shaving. Here, I would like to mention that I get lot of questions asking the difference between a shaving cream and a soap. For the soap, you need to add some warm water in the tub for a minute or so and start rubbing the surface with a brush to build a thick lather. For the cream, just wet your brush, drop a little cream on it and you are ready to lather up. I find that the cream is easier and quicker but if you have dense hair growth the soap will work a lot better. Proraso Sandalwood Shaving Cream is made in Italy and comes in a 150 ml tube resembling a toothpaste tube. It is rich in emollients to soften those whiskers and nourish the skin underneath. Although its scent is sandalwood, this product also contains cooling eucalyptus and menthol that helps your skin feel fresh. The fact that it comes in a tube makes it simple to take along when traveling, which is a real plus for men on the go. Most men say that it provides a cushioning lather with a good texture that helps to reduce irritation when shaving. They also find this cream to be long lasting since you only need a pea size amount to work up enough lather for a creamy comfortable shave. 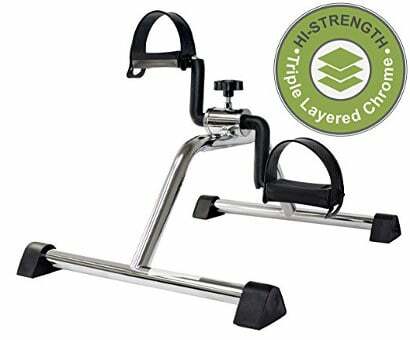 While some users mention that it is reasonably priced, some others mention that it generally feels like spreading toothpaste on the face, probably because they did not take the time to work it into a good lather. I use cream a lot and if you work on making the lather, the cream can work well and quicker. The Art of Shaving company has been around for a while and is known for its high quality shaving products. The Art of Shaving shaving cream with sandalwood comes in a 5 ounce jar and provides a nice long lasting lather that lubricates the skin and makes your razor glide effortlessly, resulting in less irritation and reducing razor bumps and burns. Users report that the rich lather has a pleasant sandalwood scent that is not overwhelmingly strong, but powerful enough to give them a relaxing shave. The product contains glycerin and coconut acid. Many users feel that this shave cream is great for sensitive skin resulting in softer and healthier looking skin. 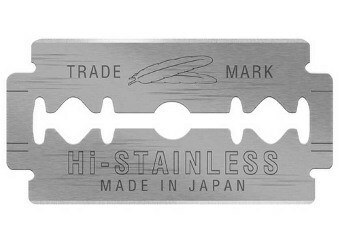 However, very few users experienced razor burn probably because they did not take enough time to build up a thick lather. Frequent shavers have less trouble with the tub, but if you feel you are not using up the tub fast enough, you can always try out one of the creams by Art of Shaving which is available in a tube in much smaller quantity. 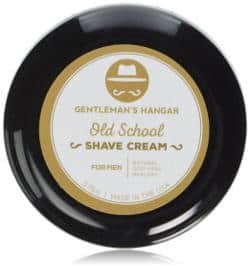 The Gentleman’s Hangar Genuine Old School Natural Shaving Cream for sensitive skin gives users an old fashioned barbershop experience that most people enjoy. Its sandalwood scent is light, yet masculine and this product contains natural ingredients including organic aloe leaf juice, green tea extracts and vitamin D to help you maintain healthier skin. It is made in the USA. Although Gentleman’s Hangar is not one of the most well known shaving product companies, this sandalwood shave cream still gets extremely good reviews. 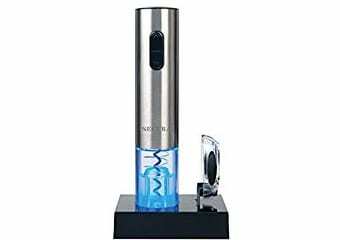 People state that it has a nice thick and lubricating lather which results is a smooth shave. They also say that they experience less bumps and burns than with other shave creams and feel it has a nice scent. I like the fact that the ingredients are all natural and that it contains no parabens, making it better for skin’s and overall health. With such quality ingredients, it is also ideal for people with sensitive skin. The jar will last you a long time as you only need a very small quantity to make a rich lather, and this also makes it one of the most economical creams in the market. 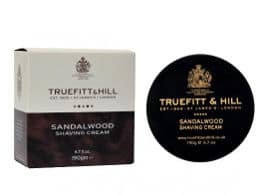 Truefitt & Hill Sandalwood shaving cream is a high end shaving cream that comes in a large 6.7 ounce container. It creates a nice rich and thick lather and has a very subtle scent. 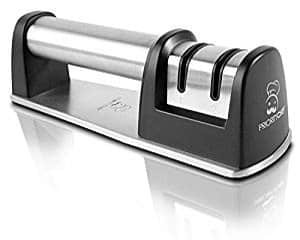 Users report that this shave product provides them with an extremely close and comfortable shave and that they experience fewer bumps and burns when using it. They do state that it is expensive, but add that it lasts for a long time and the quality of shave makes it well worth the money. The cream gets excellent reviews and people love its scent, saying it gives them a wonderful feel to start the day every morning. Also, this is a glycerin based shaving cream which will leave your skin smooth and fresh as well as provide good lubrication while shaving. If you like sandalwood and want to experience a great sandalwood scent in a high quality shaving cream, then one of these sandalwood shave creams will make the right choice for you.